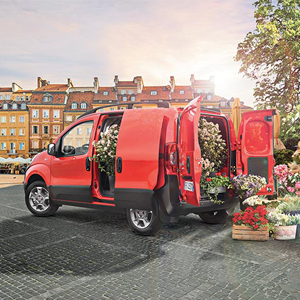 Compact dimensions, agile and flexible. 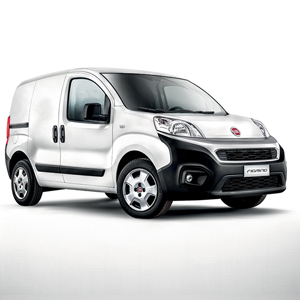 The Fiorino is the van made for the city with perfect external dimensions: 3,957 mm long and 1,716 mm wide. 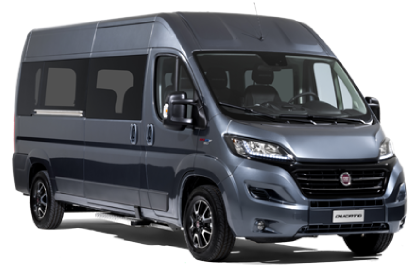 The load compartment has a regular square shape and is surprisingly spacious from 1,52m long up to a maximum of 2,50m with the passenger seat folded down. 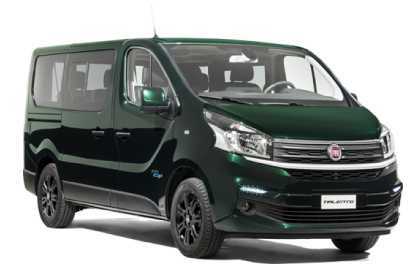 Also you will enjoy 1,21m in height and 1.47m in width, with a width between the wheel arches of 1.05 m. Cargo volume: from 2.5m³ to 2.8m³ with the passenger seat folded. Also available as an extra option is a pivoting partition combined with a front passenger seat that can be folded down, the backrest becomes a handy surface that can be used as a table. 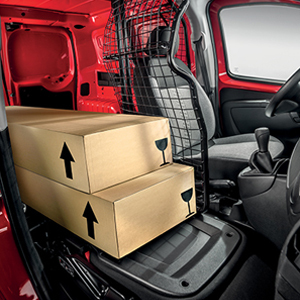 Access to the load compartment is simple and functional. With the wide sliding side door providing great accessibility of maximum width of 644mm and 1,041mm in height (depending on the version). Rear access is ensured by two swing doors (40/60) that open up to 180°, with maximum width of 1140mm and height up to 1060mm. Available as optional are 2 sliding doors. 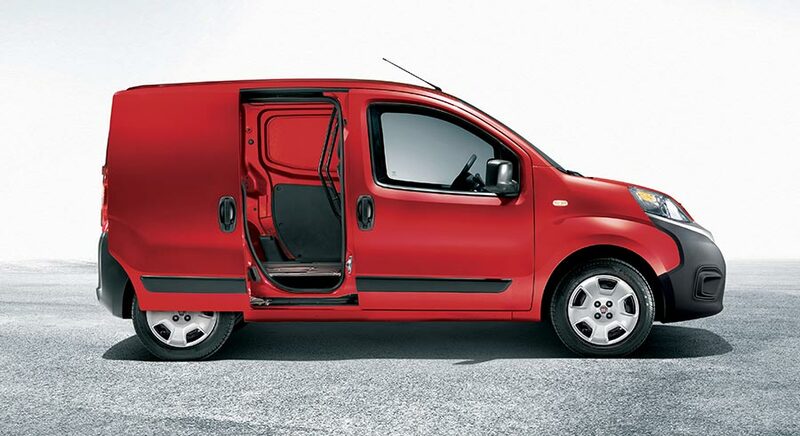 The vertical ergonomic door handles of the Fiorino offer an excellent grip and possibility to open with either hand. The load threshold is less than 530mm from the ground, for easier loading and unloading.